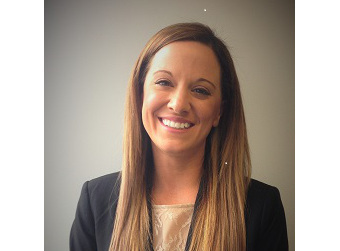 Ms. Bergeron is a graduate of Loyola University New Orleans College of Law with a degree of Juris Doctor in Common Law. She also holds a certificate in Civil Law. She is a 2003 graduate of Louisiana State University, where she obtained a Bachelor of Arts in Political Science. Ms. Bergeron has experience in the areas of insurance coverage, insurance defense, excess coverage, religious institutions liability, the appraisal process, conducting Examinations Under Oath, toxic tort litigation, personal injury litigation, general liability litigation, worker’s compensation, and construction defect litigation. Ms. Bergeron also has extensive experience defending insurance companies in first party property insurance litigation. Ms. Bergeron is admitted to practice in Louisiana state and federal courts. She is a member of the Louisiana State and American Bar Associations, the Covington Bar Association, the Louisiana Association of Defense Counsel and the Tulane Inn of Court. In 2012, Ms. Bergeron received the Pro Bono Publico Award from the Louisiana State Bar Association in connection with her pro bono work for Southeast Louisiana Legal Service’s North Shore Pro Bono Project.